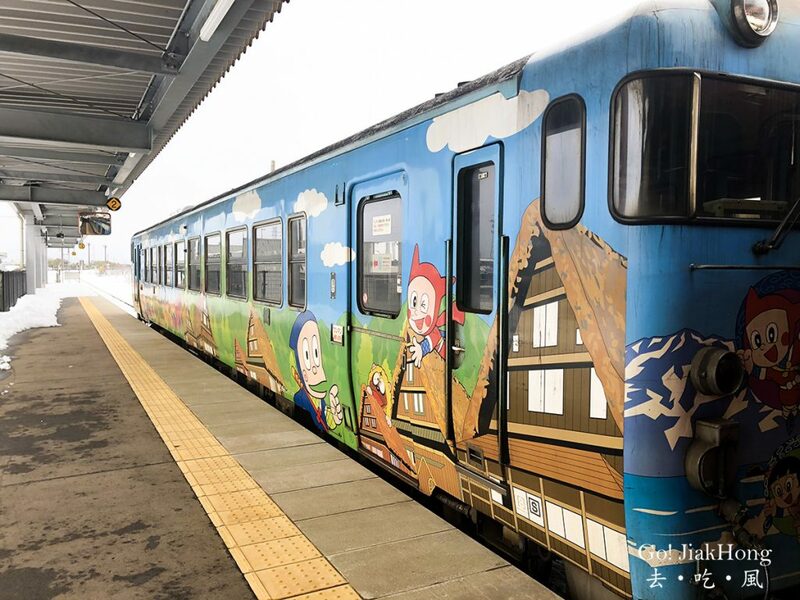 A short distance from Kanazawa the second largest city of Toyama Prefecture, the hometown of famous robot cat Doraemon creator, if you are a fan of this manga you should head over here and visit some of the interesting places that you might have seen in the Manga. 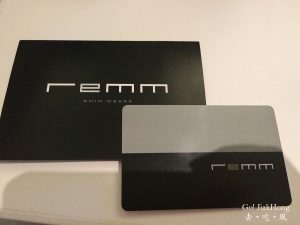 However, this place is not only limited to that but also some of the beautiful tourist attraction, for instance, the great big Buddha of Takaoka and Zuiruji Shrine, etc. 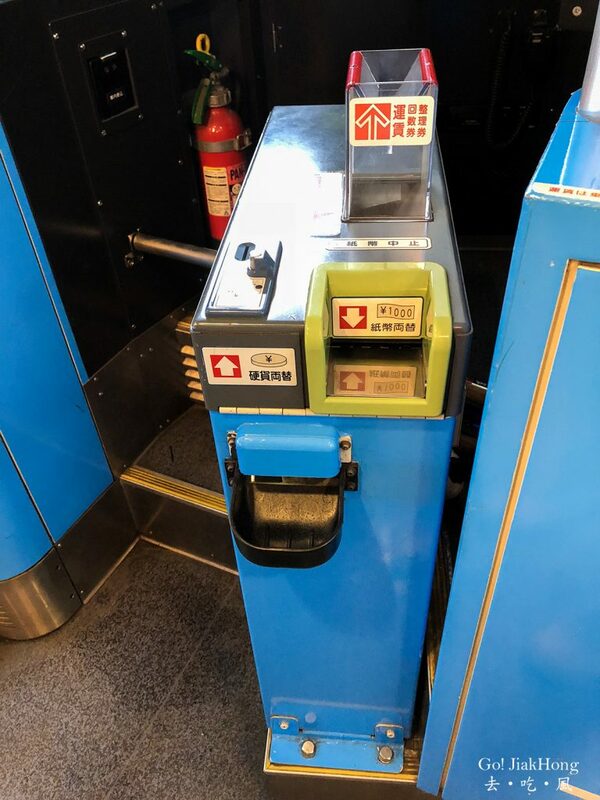 Make use of your JR pass if you are holding onto one. 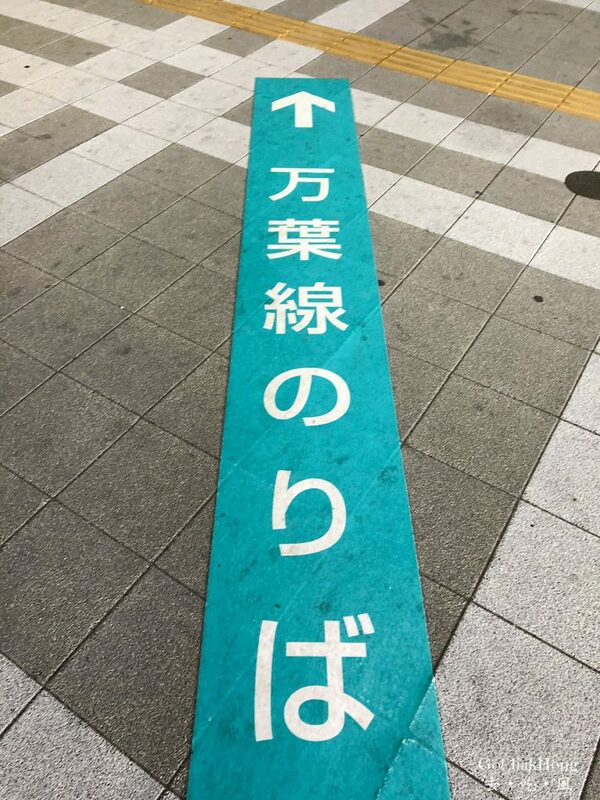 Take the JR Hokuriku Shinkansen “HAKUTAKA”, alight at next stop. 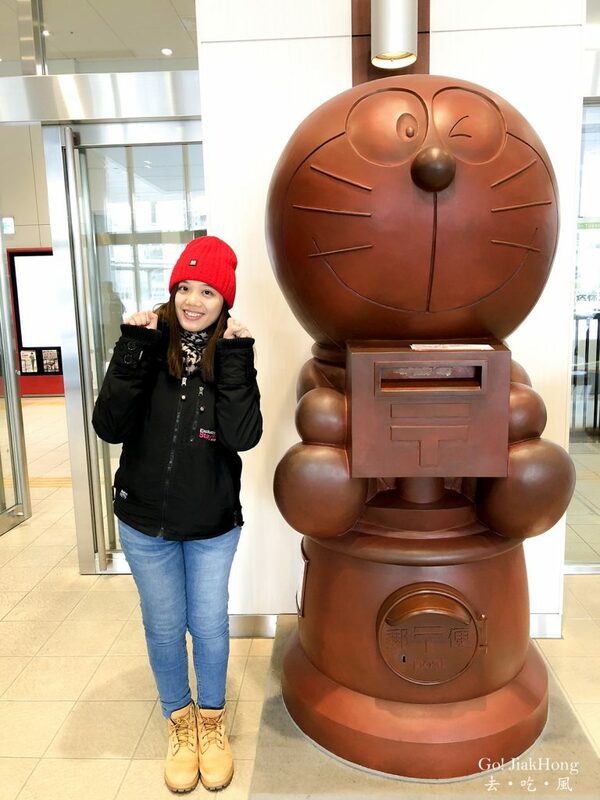 Takaoka city is the hometown of Fujiko F. Fujio, the creator of “Doraemon”. He spent his youth here before moving to Tokyo to become professional Manga writer and illustrator. 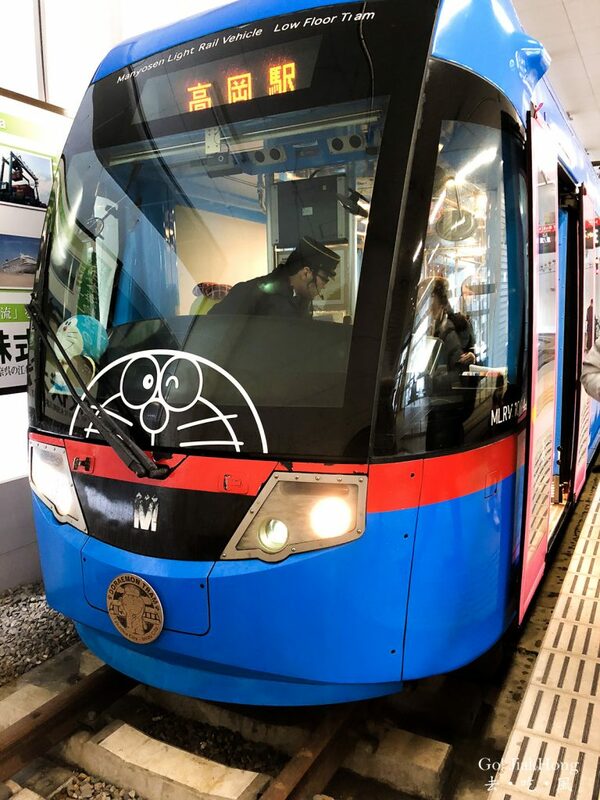 The Doraemon Tram runs on the Manyo Line between Takaoka and Koshinokata in Imizu City. 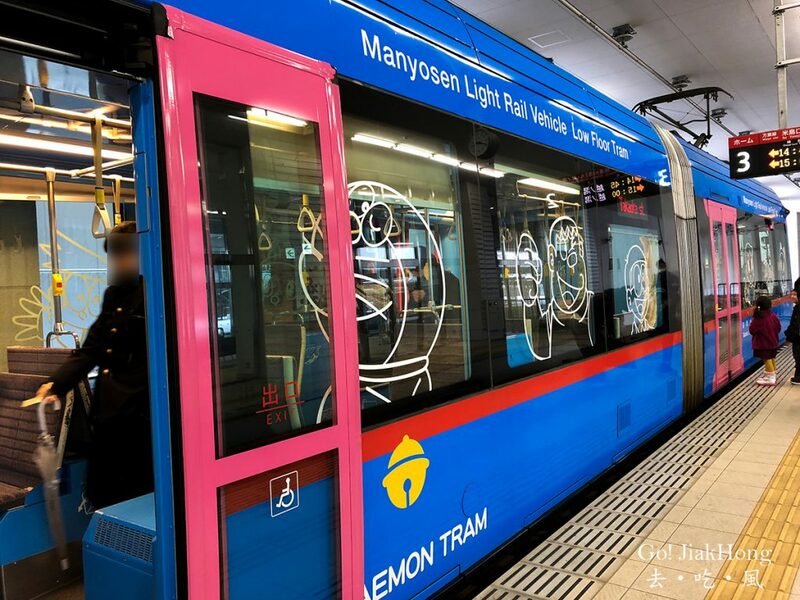 Doraemon Tram will operate until August 2018 only. Once alight at Shin Takaoka Station, need to transfer to Takaoka station or take a bus. 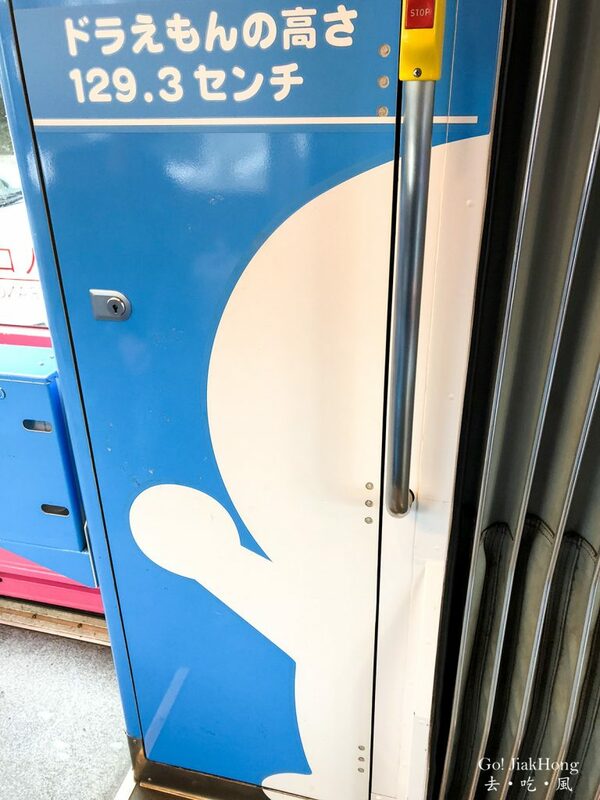 On the Manyo Tram from the driver. tram do not accept smartcard (ICOCA, MANACA etc). Only Cash is accepted. 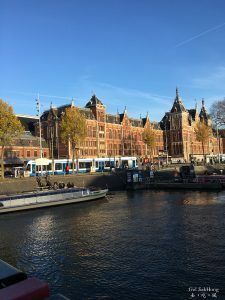 Do not buy the one day pass if you are only visiting 1 or 2 places. 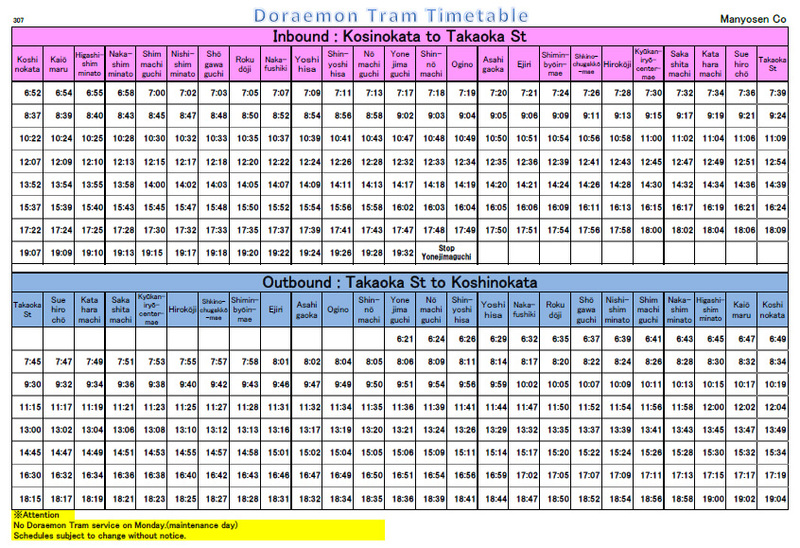 One way trip on tram will cost from 150JPY ~350 JPY according to the distance. Most of the tourist site will be around 150 or 200JPY. 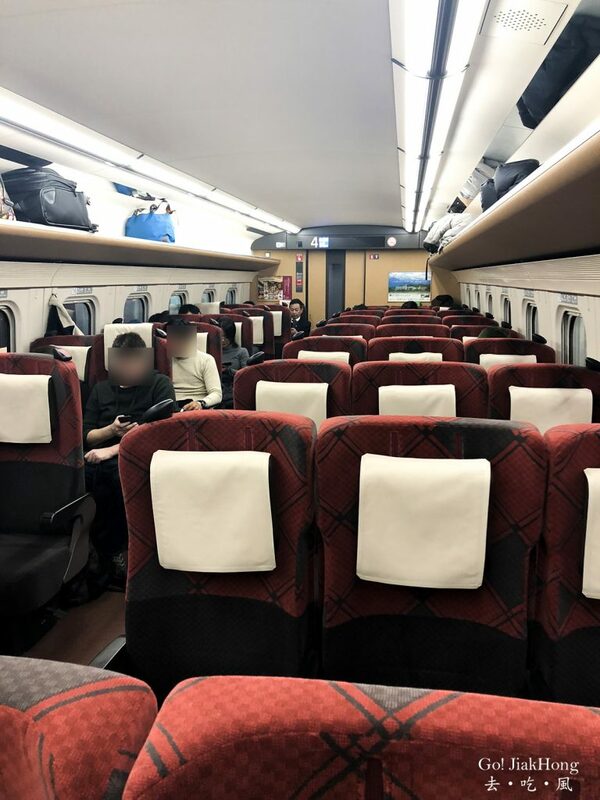 Would suggest having a stay in Takaoka if you are interested if not can be like us take the shinkansen from Kanazawa which is a stop away. 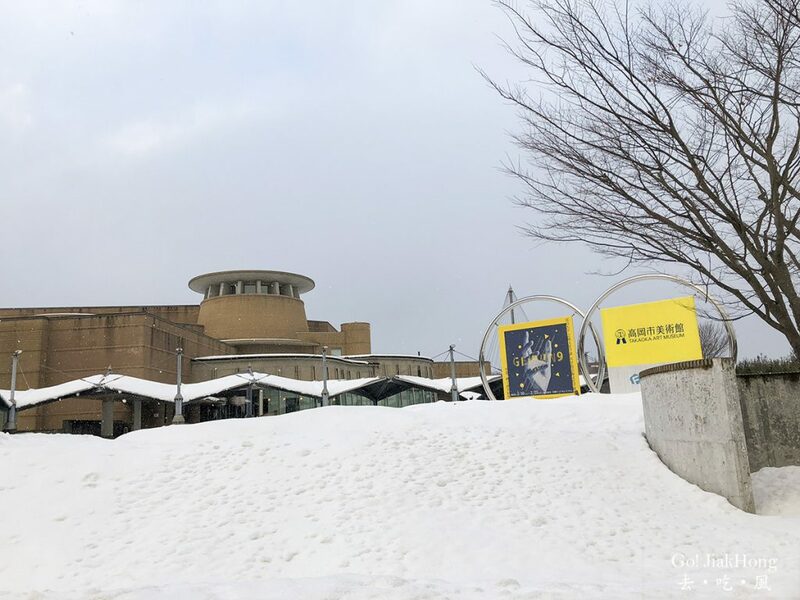 Situated on the second floor of Takaoka Art Museum, Fujiko・F・Fujio Hometown Art Gallery in Takaoka city, this museum was built in 2015, as a place to inspire fellow manga artist to chase their dream. 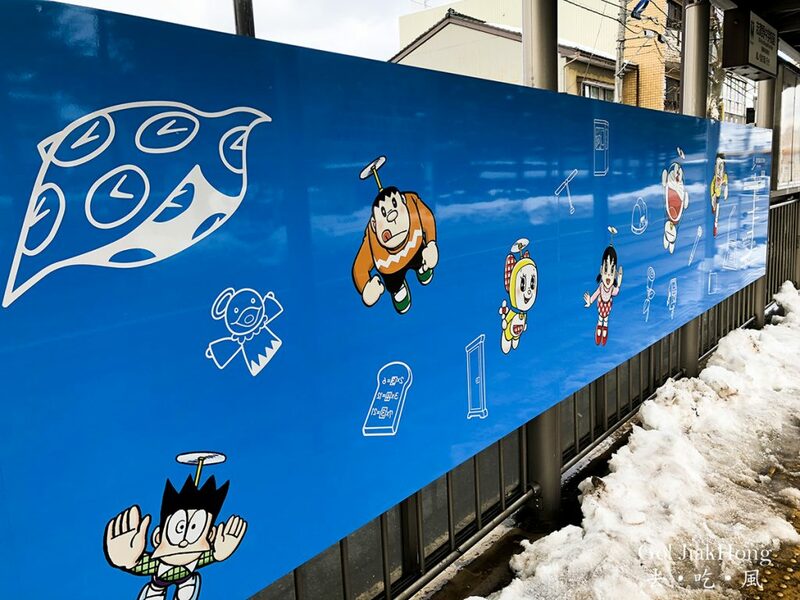 This art gallery showcases, Fujiko F Fujio, the creator of the world-famous manga Doraemon, his biography and original drawing. 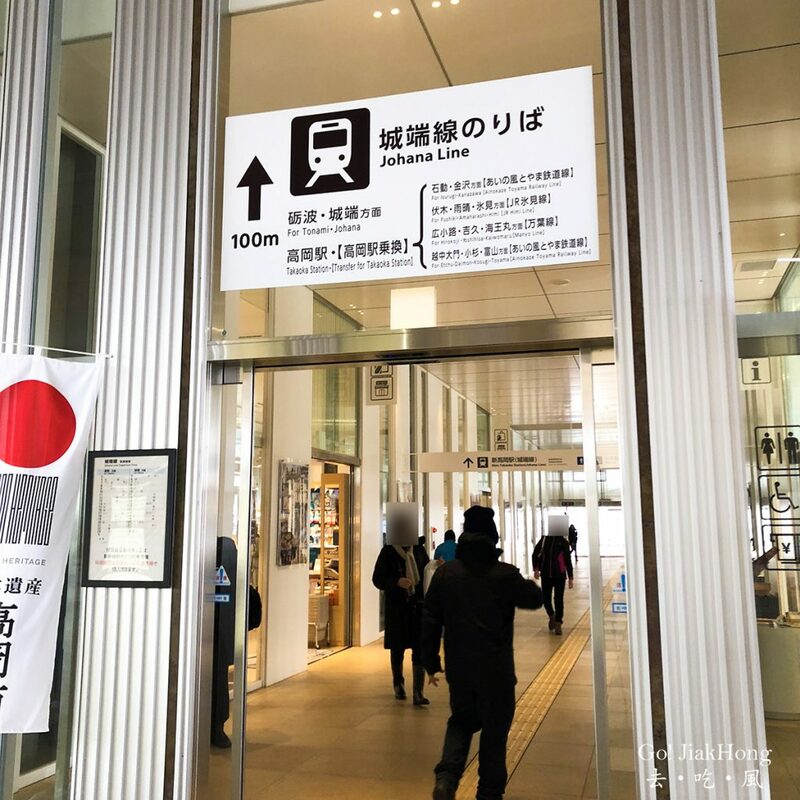 Visit the Tourist Visitor centre at Shin Takaoka station Or Takaoka Station, they will have some coupon available where visitors can have some special deals. 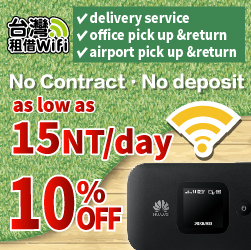 If you wish to know more information visit their official page. Inside the museum, no photograph is allowed. 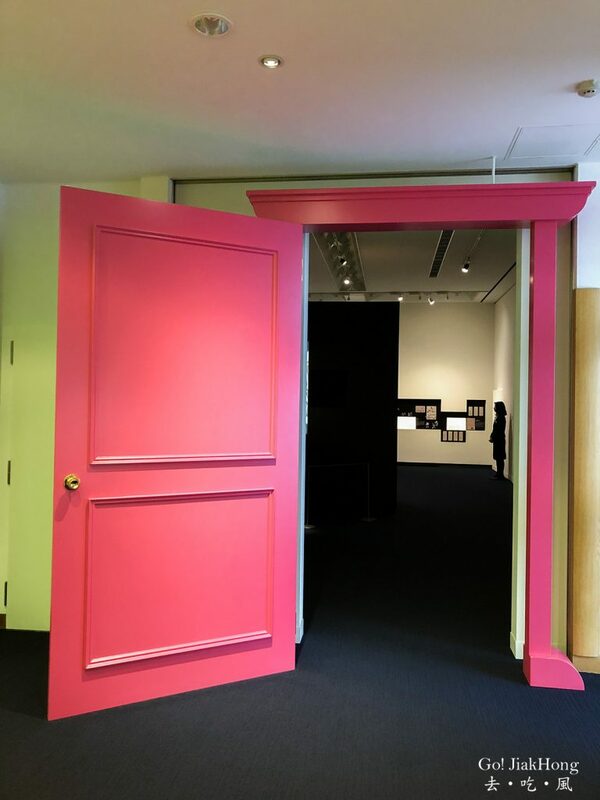 At the start of the tour, we are to pass through the Big Pink “Anywhere Door”. 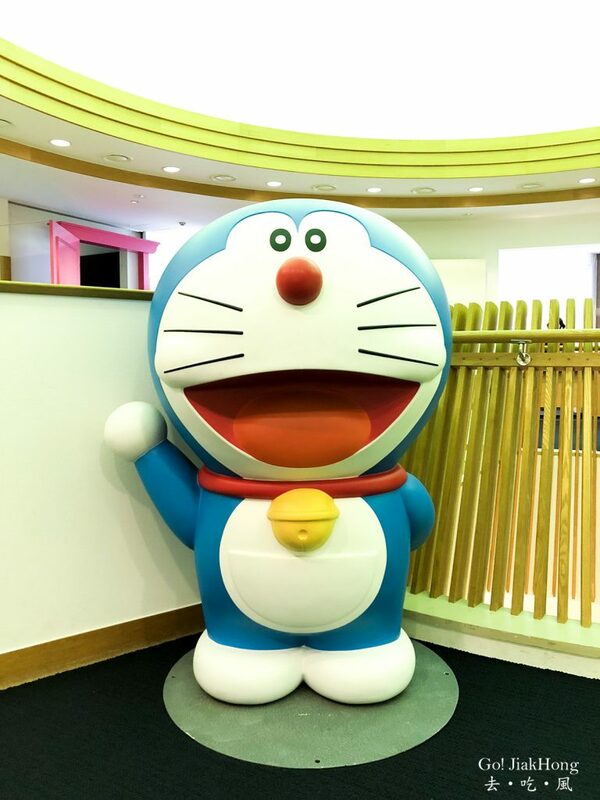 Once you exit the gallery you will see this big Doraemon status at the souvenir store. 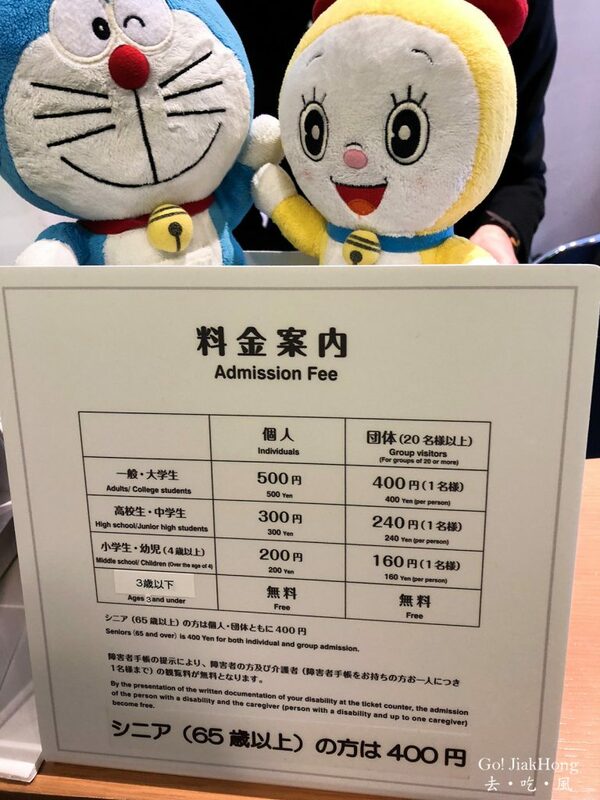 What other places to visit for Doraemon fans? 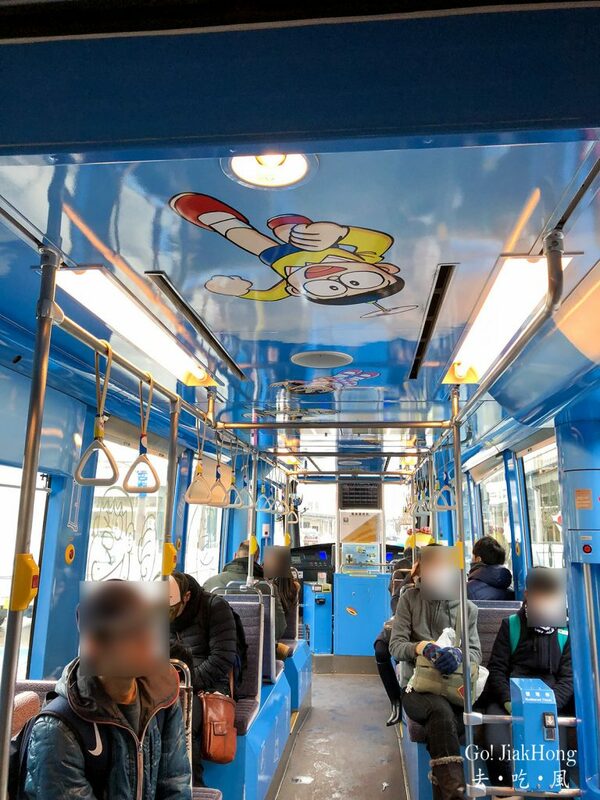 Send out a postcard with the special Doraemon postmark, at Takaoka Station. We had a great time in Takaoka, however, we are unable to visit more places due to time constraint and we met with a sudden snow shower with strong wind on that day. We even thought of heading back as it is a little difficult to walk and finding the museum. because the snow that has piled up quite tall and we cannot find the museum. We went into a cafe along the street to ask for direction and the staff was friendly and nice to help us with it and we braved through the snow and strong wind in order to get to the museum. 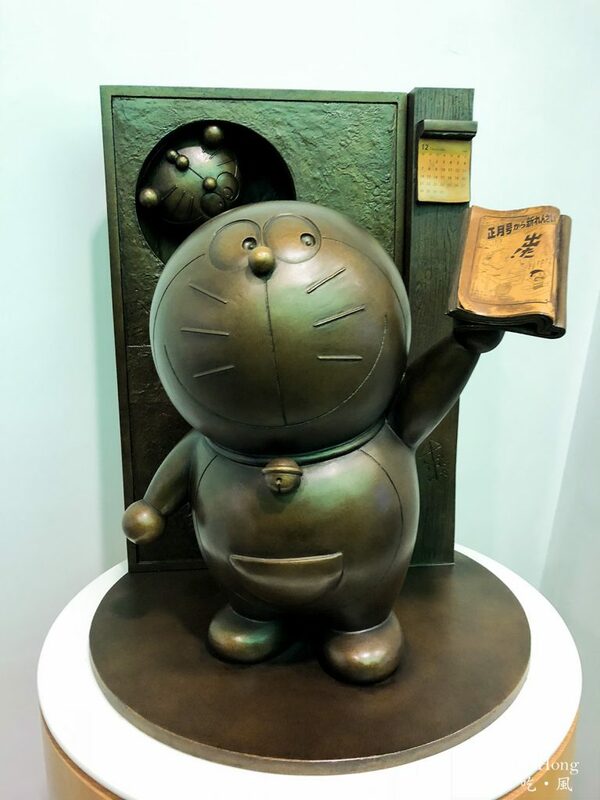 The gallery is interesting and fun for me, I like how they start off with Mr Fujiko’s Biography and his work before Doraemon and how he wanted to inspire the fellow artist, it is a great place for children too.